Dr. Zacco comes from a family that obesity knows all too well. His mother was on “To Tell The Truth”, a nationally syndicated game show in the 1970’s as the first person in the United States to have her mouth wired shut to lose weight. “She had tried every weight loss plan available that eventually failed so she was willing to try anything by then,” Dr. Zacco explains. After years of yo yo dieting, Dr. Zacco’s sister has lost 120 lbs and has successfully kept it off. Dr. Zacco noticed that when many of his patients followed the System Optimization program, excessive weight would be lost. Their cravings would diminish and energy increases enough to start an exercise program outlined for them. At Anti Aging and Functional Medicine we believe strongly in a lifestyle that promotes a more healthy weight and a fuller life by renewing your energy level. Optimizing your body (hormones, brain, gut, immune system, nervous system, cardiovascular system) restores your energy and desire to exercise daily and eat more nutritionally. Many times we have metabolic anomalies that stack the deck against us making it nearly impossible to lose weight. Things like adrenal fatigue, under functioning thyroid gland, gastrointestinal (GI) disturbances, hormonal imbalances, etc. are not discovered or treated prior to dieting. This results in inability to lose weight or gaining back the weight lost known in yo yo dieting. If your cravings are diminished, chances are you will be more successful in your dieting endeavors. 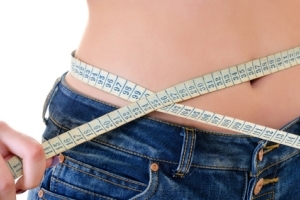 These issues need to be addressed to make the weight loss endeavor easier and long lasting. Dr. Zacco eplains. “If any weight loss program doesn’t address the underlying psycho-social, spiritual, and physical issue(s) prior to starting the diet, it is destined to eventually fail. “These issues were never addressed with my mom so they all eventually failed her. No matter how hard she tried, they always failed,” Dr. Zacco recalls. “There is no magic pill. We need to address the underlying metabolic anomaly or psychological impedance to weight loss. If we address metabolic anomalies originating from the gut, brain, endocrine system, then we stack the deck in favor of the patient trying to lose weight,” Dr. Zacco simplifies with a smile. All too frequently we lose weight, just to gain it back plus some when the cravings return and are overwhelmingly powerful. It is NOT that you lack will power and it is NOT simply “calories in/calories out” calculation. You must first treat the underlying cause. After spending 60-90 minutes with you on your first appointment, Dr. Zacco will thoroughly evaluate you using blood tests, saliva tests, specialty metabolic urine tests, specialty stool tests, and others to evaluate your unique metabolic profile. On subsequent visits, Dr. Zacco will focus on correcting the metabolic anomalies and addressing the physiologic road blocks to your weight loss. Together the patient and Dr. Zacco will create an individualized weight loss strategy for your comprehensive weight loss program. You don’t have to repeatedly fail with the cards stacked against you! Let us level the playing field. Anti Aging & Functional Medicine does NOT focus on the traditional method of “calories in/calories out”. The focus is on System Optimization so that you can lose weight AND be at your best.